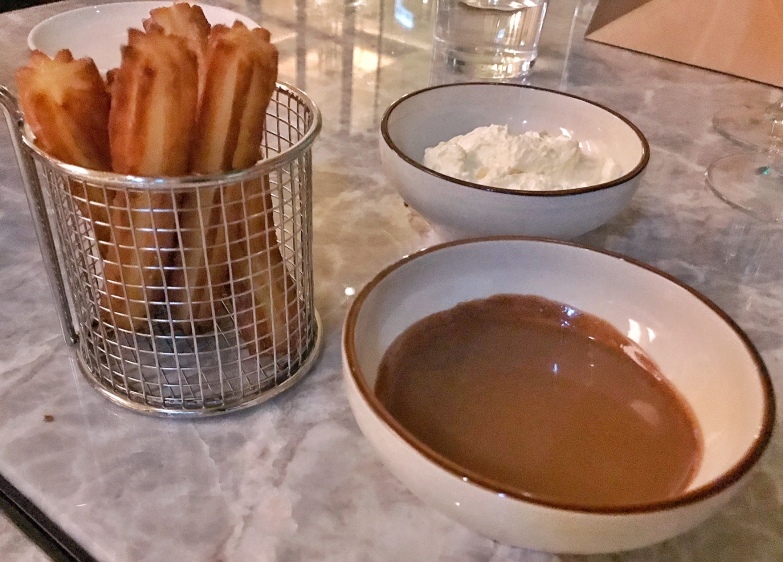 Have we found the best churros in town? Hong Kong’s Spanish dining scene has a not-so-new kid on the block: La Rambla, the latest dining concept from former Spanish stalwart Catalunya. Tucked away in a quiet corner of IFC Mall’s third floor, La Rambla’s gilted entranceway conceals a 5,000-square-foot oasis of contemporary luxury – plush couches, woven chairs, wood-panelled ceilings and an al fresco terrace with panoramic views of the harbour. 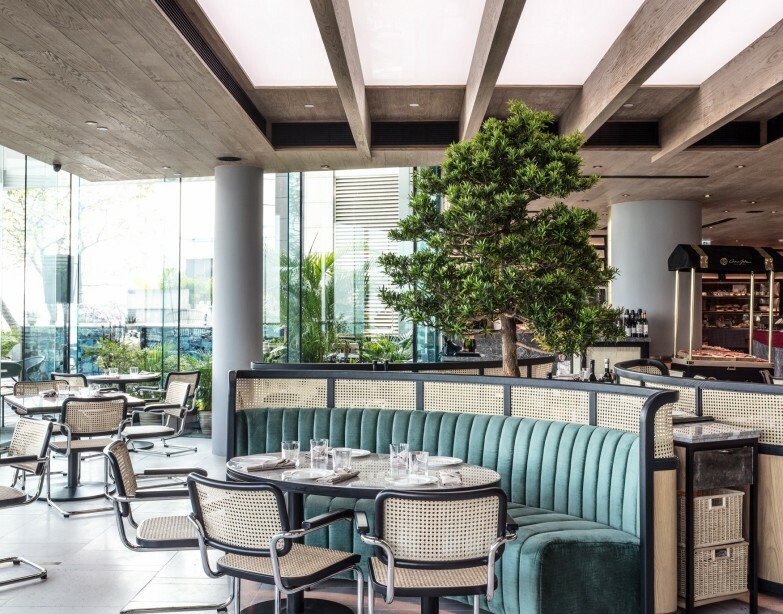 The main interior dining space also features a wall of brightly coloured custom drawings by Spanish contemporary artist Javier Calleja and a live tree centrepiece (a nod to the structure of Spanish courtyards). 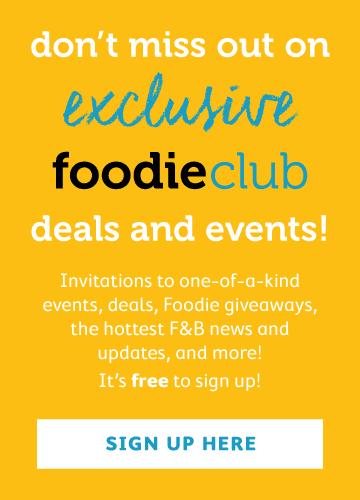 Okay, so the interiors are snazzy – what about the food? Executive Chef Ferran Tadeo (who headed the Catalunya kitchen) comes with solid credentials, having trained under two of the world’s most prominent Spanish chefs: José Andrés and Ferran Adrià (from the iconic, three-Michelin-starred, five-time #1 on the World’s 50 Best Restaurants list El Bulli). 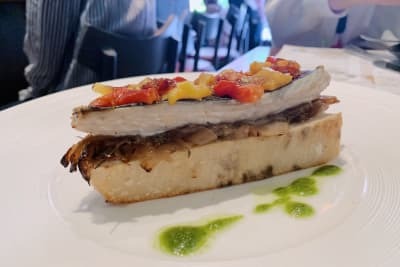 And all that experience and training certainly shows in La Rambla’s food, which features high-quality, seasonal ingredients and a modern take on Catalan-inspired classics. 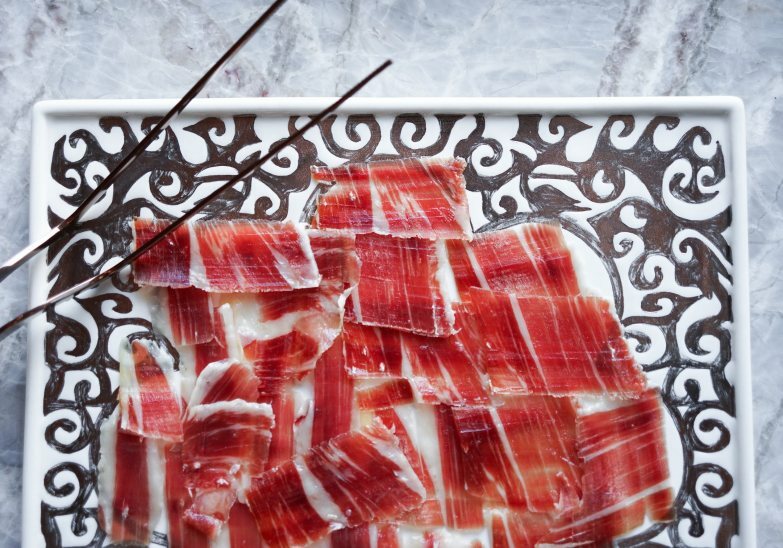 We started with the cinco jotas (5J) 100% bellota jamón Ibérico ($360): a premium Ibérico ham that comes from free-range pigs raised on a diet of acorns (i.e., bellota), cured for 48 months and hand cut – which explains the hefty price tag. Thinly sliced, with fine slivers of melt-in-your-mouth fat, the ham paired deliciously with the pan de cristal con tomate ($70), a crisply grilled bread covered in fresh tomato, olive oil, garlic and salt. Up next was a foie gras and eel terrine ($180), served with slim slices of toasted bread, with the smoked eel layered within “half-cooked” foie gras (just under well done) for a smoother consistency. 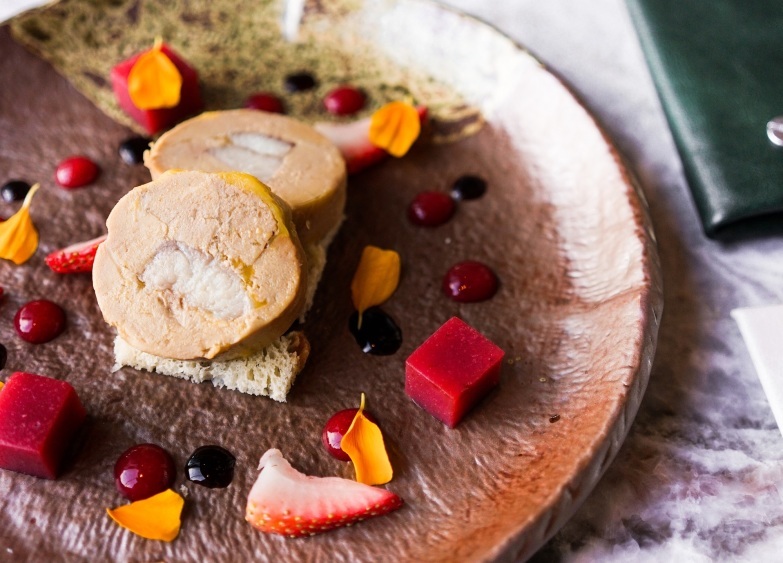 Foie gras always pairs well with something sweet, and here at La Rambla it’s done with a flourish: strawberries served in different textures – fresh, jellied and puréed. There was also a steak tartare with sea urchin ($180) – an unexpectedly decadent and complementary combination that I certainly plan on ordering again the next time I visit. Continuing with the seafood, our next dish was the avocado and lobster ($210). 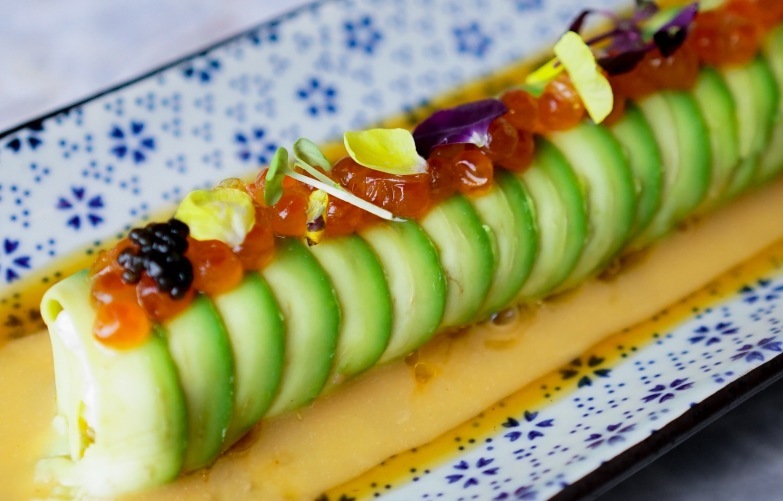 This was a classic pairing of finely shaved avocado encased with fresh Boston lobster meat and topped with salmon roe – deliciously simple yet simply delicious. 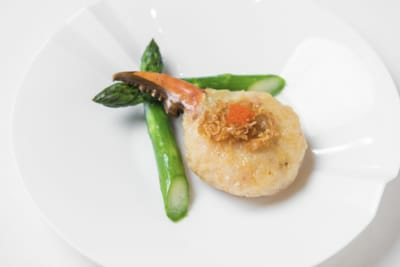 We balanced the lightness of this dish with a side of tortillita de camerones ($80), a crispy Spanish shrimp fritter that has apparently been popular since the 19th century – for good reason. Strangely addictive, this ended up being one of my favourite dishes of the night. 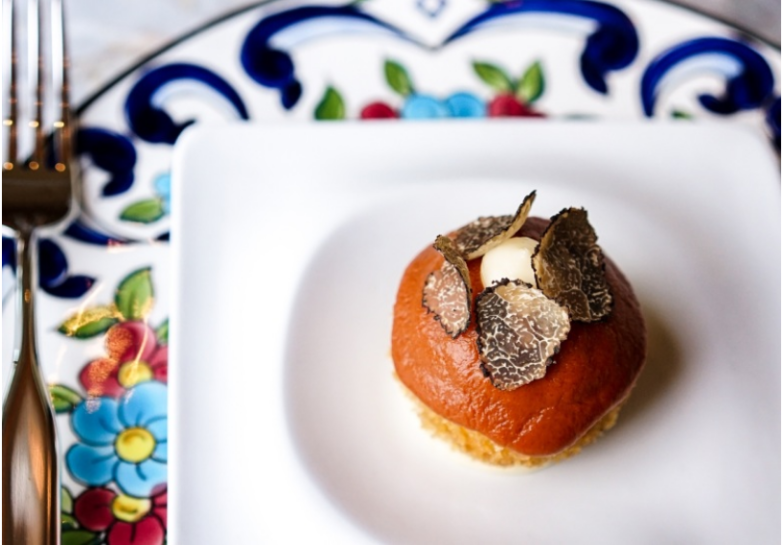 Another favourite: the truffle bombas ($90), a breaded and deep-fried “potato bomb” filled with minced beef and pork, served with a classic brava sauce (think tomato sauce with garlic and paprika) and elevated with the addition of fresh shaved Italian black truffle. 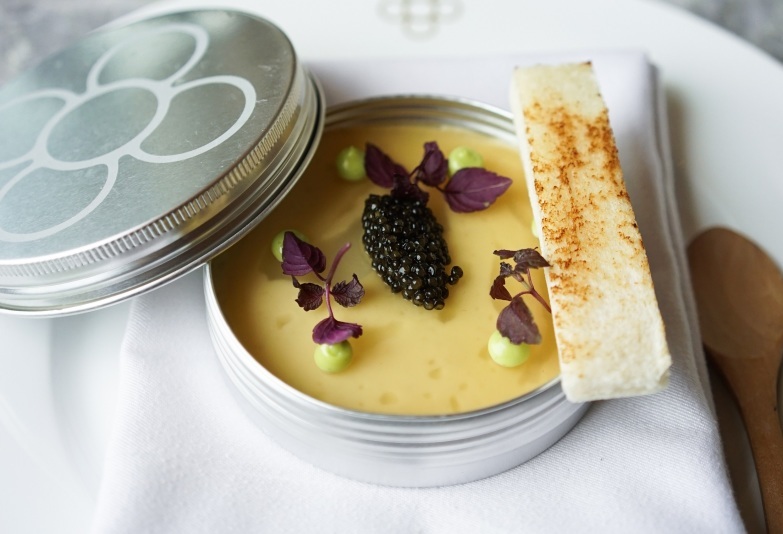 If you prefer something more avant garde or fanciful, try The Perfect Egg ($90), a unique composition of textures and flavours that represents the perfect Spanish egg: potato foam, slow-cooked quail egg, caviar, truffle oil and (oddly but tastily enough) Ibérico fat gelatin. 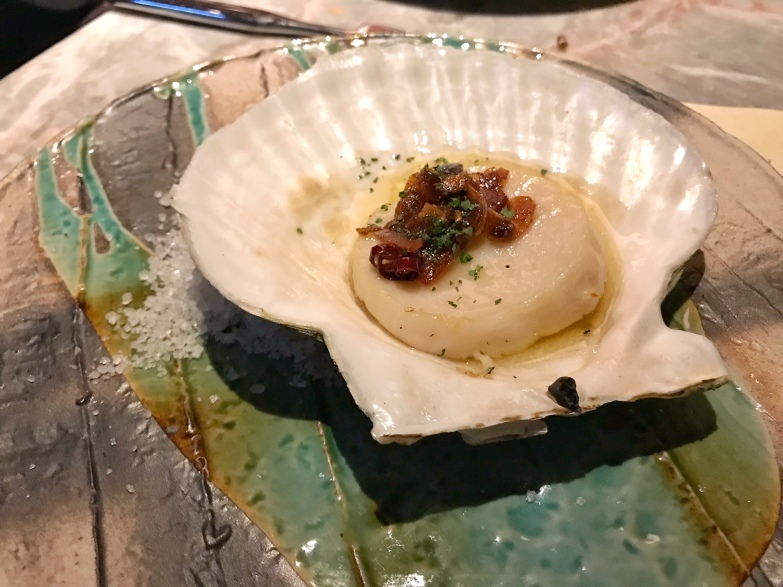 Moving to the mains, we kicked things off with the Hokkaido scallop with Donostiarra sauce ($160), which was a succulent, generously sized fresh scallop topped with caramelised onions. We also sampled the Spanish rack of lamb ($600, serves 2–4). I’m not normally a fan of lamb, but this version was perfectly cooked, tender and thankfully devoid of any overpoweringly gamy taste. And now for the desserts, first of which were the cinnamon “xurros” ($110), served with vanilla, dulce de leche, Swiss chocolate or caramel cream. Fried to order, these churros were warm, light, crisp and coated in a fine dusting of sugar and ground cinnamon. A fellow diner proclaimed them the best churros in Hong Kong. I can’t say with authority that I’ve tried all the churros in Hong Kong, but these were certainly some of the best I’ve had. We also sampled the indulgent chocolate salted caramel ($90), which consisted of a chocolate cylinder filled with chocolate ganache, served with chocolate ice cream and chocolate soil and drizzled with warm salted caramel sauce. I personally found this a little too rich at the end of a heavy meal, but chocoholics will probably beg to differ. If you still have space, wash down your dessert with a gin and tonic selected from one of the over 30 varieties of gins and more than 10 types of tonics on offer (we especially liked the elderflower tonic). If you’re more of a wine person, you’ll be pleased to know that La Rambla offers one of the largest Spanish wine selections in Hong Kong, so you’re bound to find something you like. Perhaps its learned a trick or two from Catalunya’s five years on the Hong Kong dining scene, perhaps it’s the association with El Bulli (even the restaurant’s general manager once worked there) or perhaps it comes down to a talented team that’s passionate about their craft. Either way, La Rambla certainly delivers a delicious line-up of skilfully executed classics with contemporary touches, at a relatively reasonable price point. Hasta la vista, baby – I’ll definitely be back.